Meet People. We are multilingual, hospitable, creative and... we love singing. If you happen to be in Lithuania in the middle of the summer when the great traditional Song Festival takes place, you will have a chance to find out how the choir of 20 000 people sounds like or how the ornaments traced by 9 000 dancers in a single stadium look like​. Come to this big event next year – 2018 – you will be impressed! 2. Kaunas, the second largest city of Lithuania, has been chosen as the European Capital of Culture 2022! See Nature. Can you imagine the feeling of walking barefoot on dewy grass and then on a paved road? 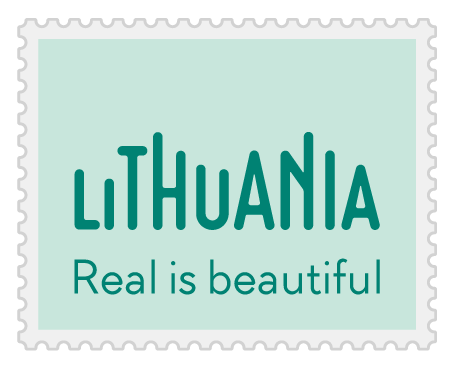 Like a barefoot walk on the morning grass – this is how nature lovers describe their impressions from Lithuania. Experience the green surroundings: meadows and hills are everywhere. Hear how the land is praised by the singing of birds. Five national parks are waiting for you to explore. Refreshing forests, rivers and lakes are calling out to be explored; numerous resorts and spa centres are ready to share the healing secrets of their mineral springs. Ecotourism enthusiasts can find hotels and rural homesteads with „Green Key“ certification, beaches with the Blue Flag eco-label, organic products, farmers, sightseeing tours, as well as opportunities to observe migrating birds or pasturing wisents. Taste Food. Eat local. Eat simple. Eat fresh. This mantra explains what our local cuisine is all about – enjoying food that is filling, tasty and made as naturally as possible.Take a bite of black bread and enjoy the taste of golden rye. Spread some honey, put a slice of white cheese on top and enjoy... and don’t forget to thank those little workers buzzing in the meadows. If you are thirsty, have sip of Lithuanian kvass. Smile. You are in Lithuania. Stay active. There is much to learn from the Lithuanians about having a good time. We indeed can boast the abundance of various entertainment activities to make you busy from the moment of your arrival to our country – all you have to do is choose what to do and where to go. Adventurers, nature lovers and romantics - all will discover unexpected pleasures and things to experience in Lithuania. Fly a hot air balloon above the Vilnius Old town or Trakai Castle! Grab a bike and cycle through the national parks and most beautiful places of the Lithuanian coast! Try horse riding, go downstream in a canoe and you will feel so tiny and light! Landscape of rolling hills, natural lakes and sand based fairways are waiting for every level of golfer.